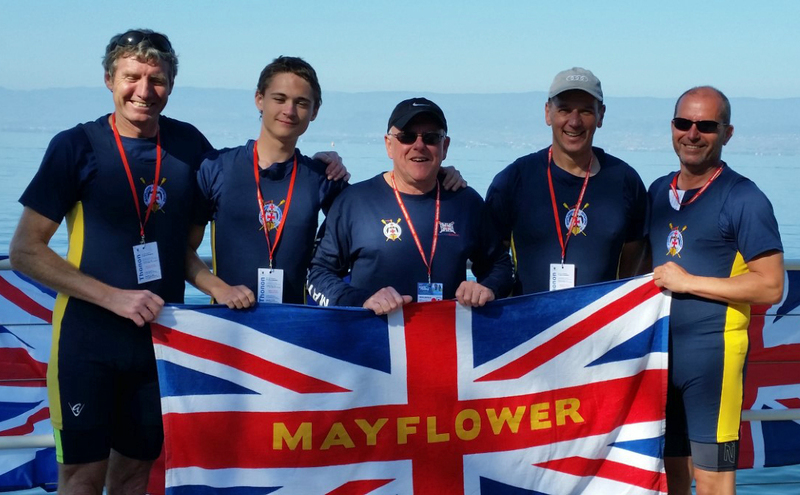 MAYFLOWER Offshore Rowing Club have made an impression on the world stage. The Devonport-based club took on competitors from around the globe at the World Coastal Rowing Championships on Lake Geneva. Mayflower enjoyed plenty of success at the event in Thonon-les-Bains with five crews progressing to finals. 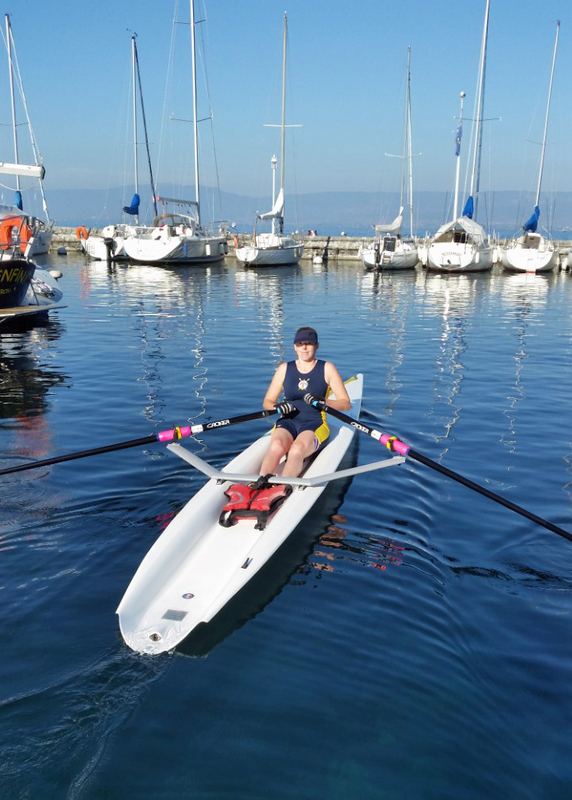 In the ladies’ single sculle, Fiona Carmichael (pictured) came 13th in the A final, where she was up against Olympians and world medallists. 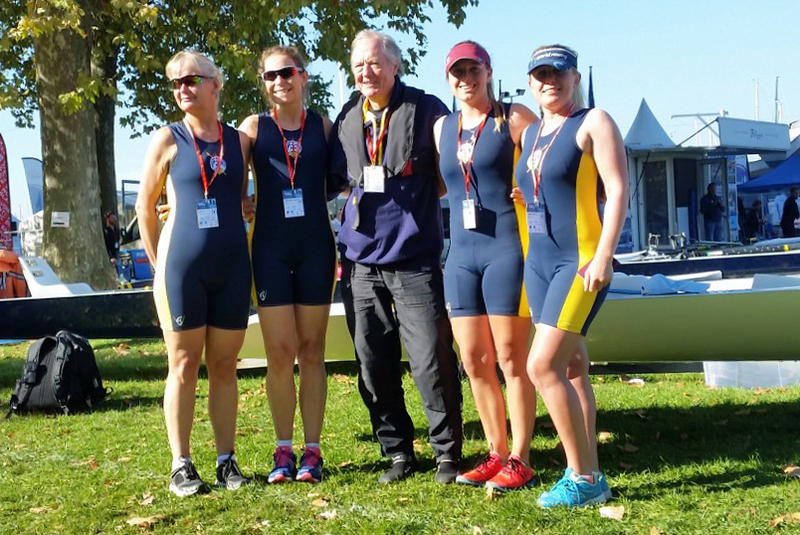 Mayflower’s ladies’ quad of Ania Wieczorek, Hill Lees, Jackie Bailey-Tucker and Phoebe Winter, with Brian O’dea coxing, also came 13th in the A final. The club had two men’s squad in the B final, with Jeff Keast, Josh O’Brien, John Malone and Andy Conbeer, coxed by Brian Headlam, taking ninth spot (pictured top), while Jeff Hammond, Tom Doherty, Mark Crumplin and Mike Horrocks, coxed by Brian O’Dea, finishing 12th. 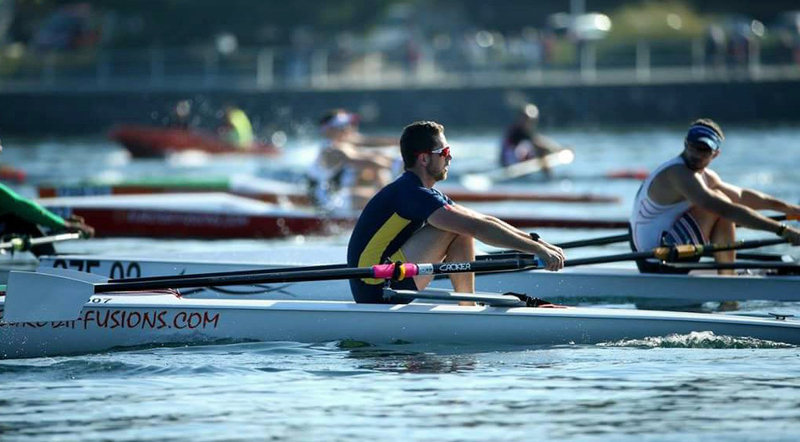 Finally, Mayflower’s men’s single sculler James Lovering came 13th in the B final where again he was up against Olympians.